What is the secret of the seven horns below Royal Princess’s funnel? Home/Cruise Ships/What is the secret of the seven horns below Royal Princess’s funnel? It’s been an amazing two days. 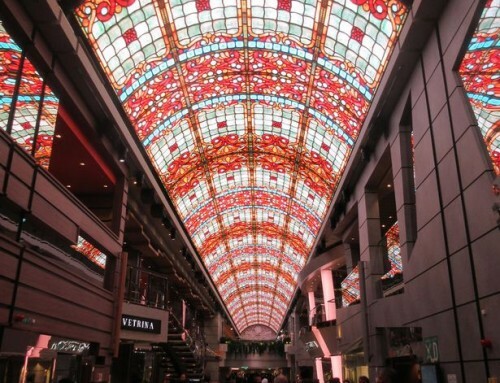 Since leaving MSC Preziosa and Genoa behind I have been staying in Venice, at the city’s finest hotel; I have witnessed the ceremonial float-out of Princess’s newest cruise ship, and I have been taken on a tour of the ship to be launched in June. Phew! The Gritti Palace, which has played host to stars from Greta Garbo to Brangelina and recently re-opened after a £40 million refit, was amazing. Not just for the €11.50 (small) tin of Pringles from the mini-bar, but the sheer luxury of its new fittings and surroundings – not to mention the dreamlike setting on the Grand Canal. The whole visit was topped off in incredible style with dinner in the baroque splendour of La Fenice, Venice’s grandest opera house. Regal Princess was something of a surprise. The float-out was not on the original schedule for the visit. It’s due to be launched in 2014 but I would never have expected it to have been ready for the water just seven months after the keel was laid in dry-dock at Fincantieri’s Monfalcone shipyard. 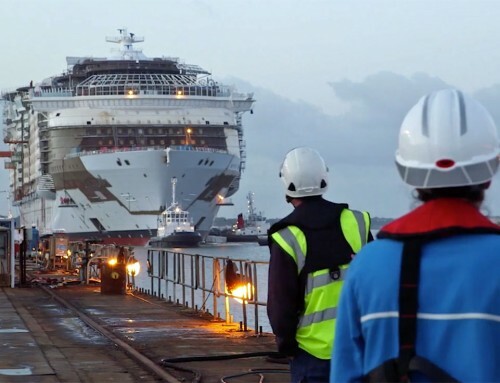 Royal Princess embarks on its sea trials on Friday and in little over two months will be arriving in Southampton for the first time ready for a glamorous christening ceremony. The ship is far from complete, but is certainly impressive. So many new developments in this prototype design that I will be able to cover only a few of them in my next post. The Princess Cruises officials on this visit remained tight-lipped about the identity of the godmother. I have my own suspicions, but we must wait for the official announcement in the next few weeks. For now, one exclusive which was broken loudly to our small group of press from the UK and the US. 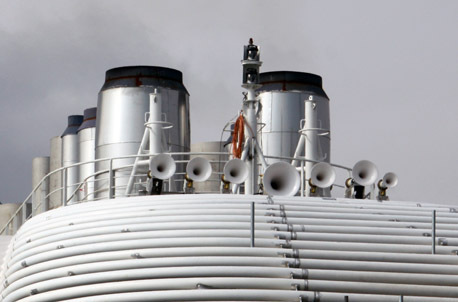 The ship’s horn – actually seven differently tuned horns – plays the first two lines of the Love Boat theme. 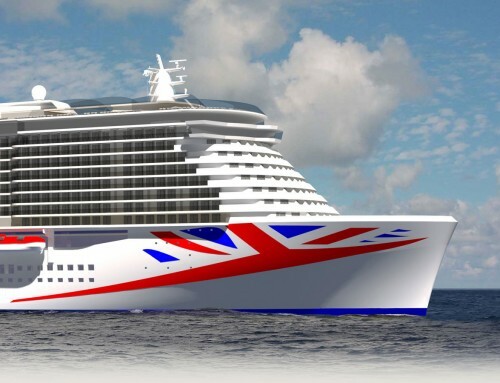 Look out for more details and pictures of Royal Princess very soon.